This is a die-cut Martin-Senour Paint porcelain sign. This particular Martin-Senour Paint sign is predominantly black and yellow with white and black text. 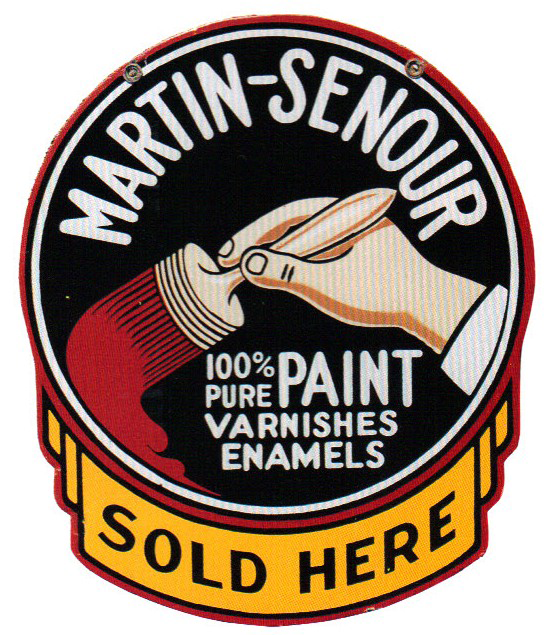 It reads, “Martin-Senour, 100% Pure Paint Varnishes Enamels, Sold Here” and features a hand holding a red paintbrush.